We have a wide selection of Supertramp trampolines which are for sale in our online store. Our exclusive Supertramp trampoline range are suitable for any size garden, whether you're looking for a small or big trampoline, we have it all here. Supertramp have been distributing and manufacturing trampolines since 1985. We advertise ‘Exercise through Play' this is because we encourage children to exercise by trampolining. Our Supertramp trampolines are an excellent way for your children to keep healthy and active. Also, it's a great way for the family to spend quality time with each other. You're spoilt for choice with our deluxe range of Supertramp trampolines! All of our Supertramp trampolines are on sale and you could save up to £74 when buying a trampoline from us. 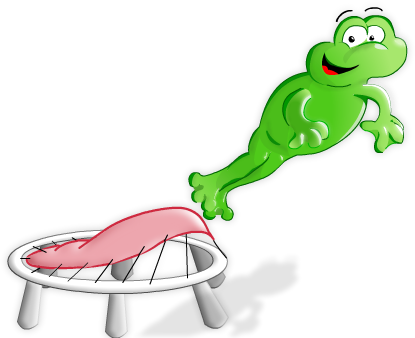 Compared to our competitors, our prices for a trampoline is unbeatable and on top of this, we even can offer a ‘Home Build Service' if required. So don't miss out on our extensive selection of Supertramp trampolines as you won't find a better quality of them anywhere else. Have a browse above at our quality range of Supertramp trampolines, you're a click away from purchasing the trampoline that your child desires. If you would like to see more of our other manufacturer trampolines such as our Jumpking trampolines or our Telstar trampolines, then click on the links! Here at Trampolines Online, we are passionate about our trampolines and we believe that our Supertramp trampolines are ideal for you and your children to have. So if you have any further questions regarding our Supertramp trampolines, feel free to contact us via telephone or email and we will get back to you as soon as possible.